Andrew Graham-Dixon explores the work of baroque painter Bartholome Esteban Murillo and Alan Yentob finds out what lured Jonathan Miller back to the stage after a six year break. Andrew Graham-Dixon explores the work of 17th century Spanish baroque painter Bartholome Esteban Murillo, as an exhibiton focusing on the profound influence of his close friend and patron Justino de Neve opens at the Dulwich Picture Gallery. Alan Yentob meets Jonathan Miller as the veteran opera and theatre director returns to British theatre after a six year break to stage Northern Broadsides production of Rutherford and Son - Githa Sowerby's powerful 1912 play about class, capitalism and gender. In a break from rehearsals, Miller reveals what it took to lure him out of retirement. Internationally renowned architect Peter Zumthor has just been awarded Britain's highest architectural accolade, the Royal Gold Medal. Tom Dyckhoff travels to Switzerland to talk to this master of understatement about his quiet approach to design. 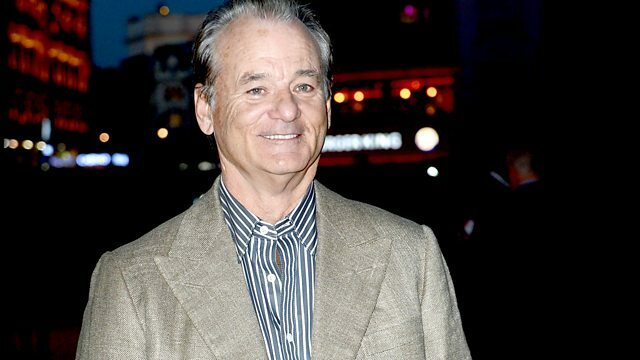 Mark Kermode meets Bill Murray to talk about his latest film 'Hyde Park on Hudson'. All this and a performance from electronic music duo and BBC Sound of 2013, shortlisted artists AlunaGeorge recorded at the Hayward Gallery ahead of the opening of 'Light Show' which features the art of James Turrell and Dan Flavin amongst others.